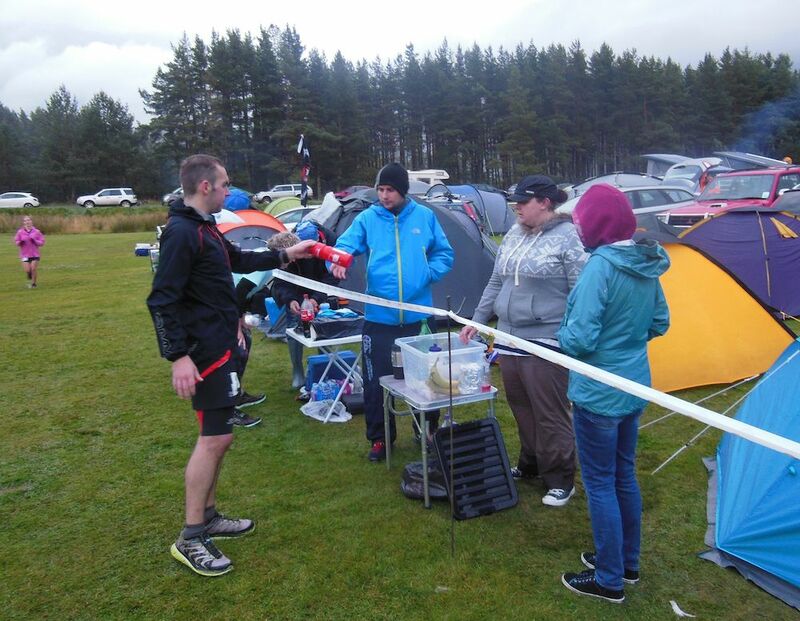 I ran the 12hr race a couple of years ago and really enjoyed it. 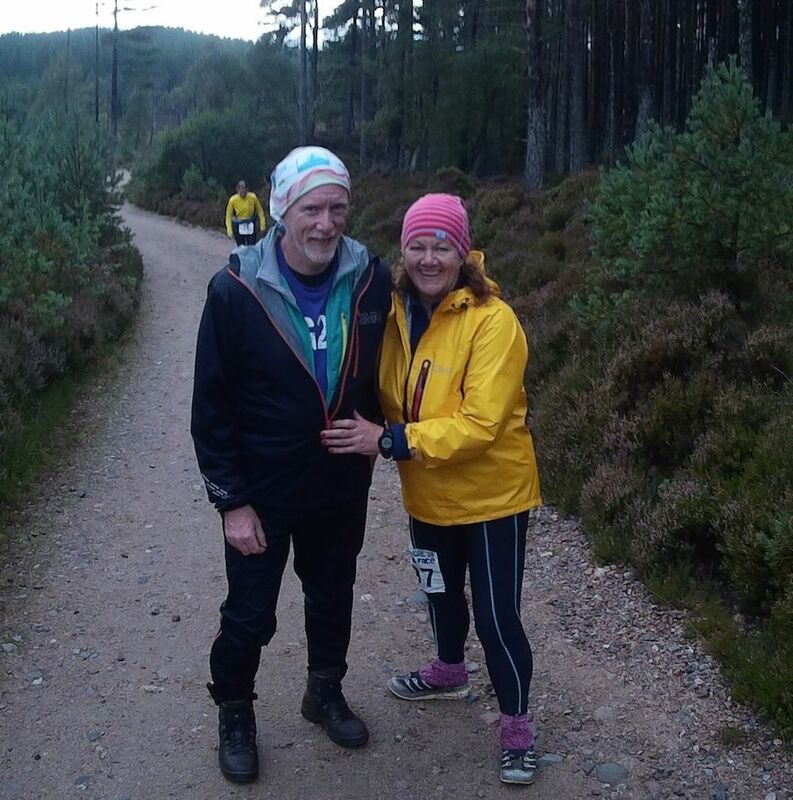 This year a number of friends were doing either the 12hr or 24hr so we thought we’d head up to Aviemore after my swimming lessons and support the race. Steven, who I run with a lot on the Braes, was doing his first ever ultra (12hr) so we really wanted to to see how he was getting on. I also offered to marshall but Bill and Mike who put on the race had enough folk. 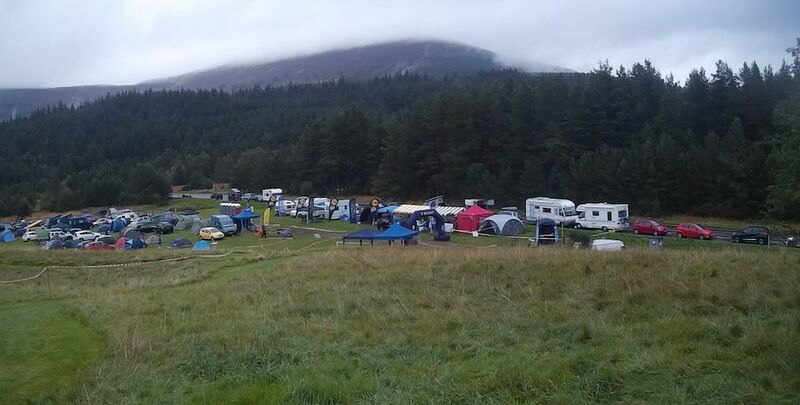 We left Paisley about 4pm on Saturday afternoon in the sunshine and arrived at the campsite at Glenmore about 6.45pm to find a very wet field and stories of hailstones and torrential rain. We chatted to a few folk and discovered from Kirsty (Steven’s wife) and David (another friend from Kilbarchan) that Steven was going really well. The leaderboard had him in 2nd place but we weren’t sure how up to date that was. 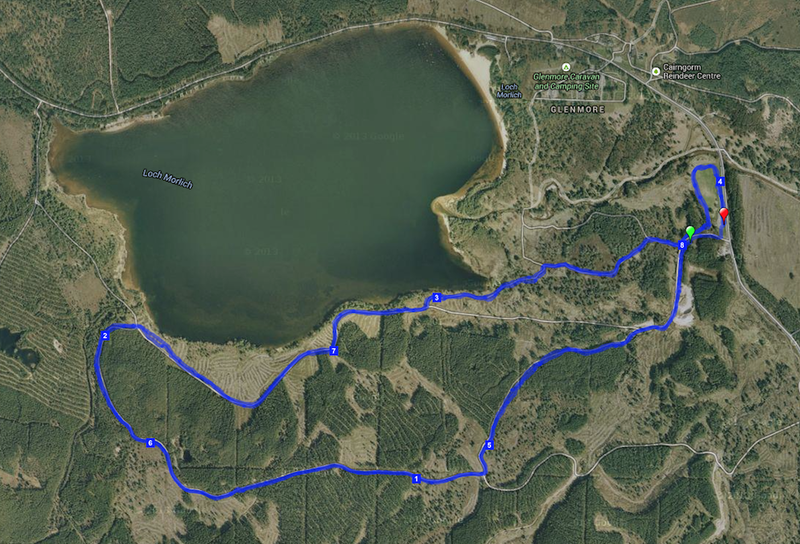 I wanted to have a decent run so set off at 8pm to run 4 laps which would give me 16miles. I decided to run in the opposite direction to the race so that I could see more people and not be overtaking folk. I was running clockwise whereas the race runners were going anticlockwise. The first lap was in the light so I could see everyone but half way through the second lap I put my head torch on and it was harder to see who was who! The only two runners with vests on were John Duncan and Antonia Scott. On one lap I saw a vest coming towards me in the dark and shouted ‘Well done Antonia’ only to discover it was John!! I was conscious that my torch was blinding some runners as I approached them so I tried to shade my torch with my hand as I went past as I didn’t want to annoy anyone. Steven was going well but I missed him a couple of times in the dark. I could see that he was well on his way to the 60 mile target he set himself. I thought he could have made one more large lap making 17 but he decided to start his small laps from 11pm. Steven ended up finishing 3rd with a distance 64.37miles. A superb debut ultra! Steven has written up his race report and its well worth a read! Loads of people commented that I was going the wrong way but the best comment I had was from one of the 24hr runners who seeing me for the 5th time said “Kynaston – you idiot!’ That kept me laughing for a while. A guy who is running for 24hrs calls me, who is only doing 4 laps, an idiot!! The 16.17miles took me 2hrs 33mins which I was happy about. I got some warm clothes on and watched the end of the 12hr race. It brought back memories of running round the camp site in the dark with everyone cheering. It is a great atmosphere. At 12.30pm I headed to bed. We were trying out our new van. It’s not fully ready yet. I’ve started doing the insulation but it was nice and toasty especially as the rain started again. As I lay nice and warm in my sleeping back I did think of all the runners still out there doing their laps. I was up at 7.30am and caught up with how everyone was doing. John Duncan was leading the men’s race. At 8.30am I went off for another couple of laps. I started with Ian and we ran together for a couple of miles before he stopped for a ‘comfort break’. We didn’t stay around for the prize giving as Jo & Jono had driven down to Aviemore to have some lunch with us. Bill & Mike put on a great event with loads of helpers who all make it a very special atmosphere. Ada deserves a special mention as she records all the laps for the full 24hrs! 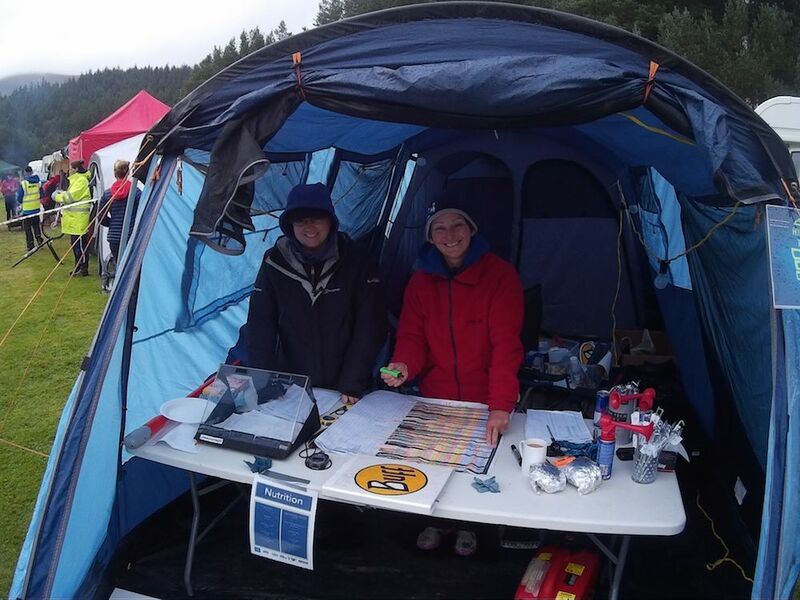 This entry was posted in Glenmore 12hr race. Bookmark the permalink. Your turn next year then?